The Volunteer and Community Advocate Programme (VCAP) funded by Zero Waste Scotland and European Regional Development Fund (2015-2017).The project aimed to get the residents and visitors to Lochaber to Reduce, Reuse and Recycle through engaging with the local community to help tackle the problems we face everyday in disposing our waste. Over the past 18 months Zero Waste Project Officers Rebecca and Cara have been working in partnership with a number of other local organisations to promote a circular economy approach in the area. Tackling food waste has been one of our priorities advocating the circular economy approach. Our current work on food waste is supporting the Scottish government target to reduce the amount of food our country wastes by 33% by 2025. Currently there is 600,000 tonnes of food and drink being thrown away each year in Scotland costing the average householder £460 a year. Food waste is not just an economic issue, it is also an ethical issue with over 8 million people left hungry a year, whilst globally we waste £2.9 trillion pounds worth of food. To top it all off essential resources are used in the production, transportation, manufacturing, storage and cooking off food, and when it is just dumped in the bin these are wasted along with the production of methane a harmful greenhouse gas 25 times more damaging than CO2. Therefore it has been a issue of paramount importance in our work in this project. 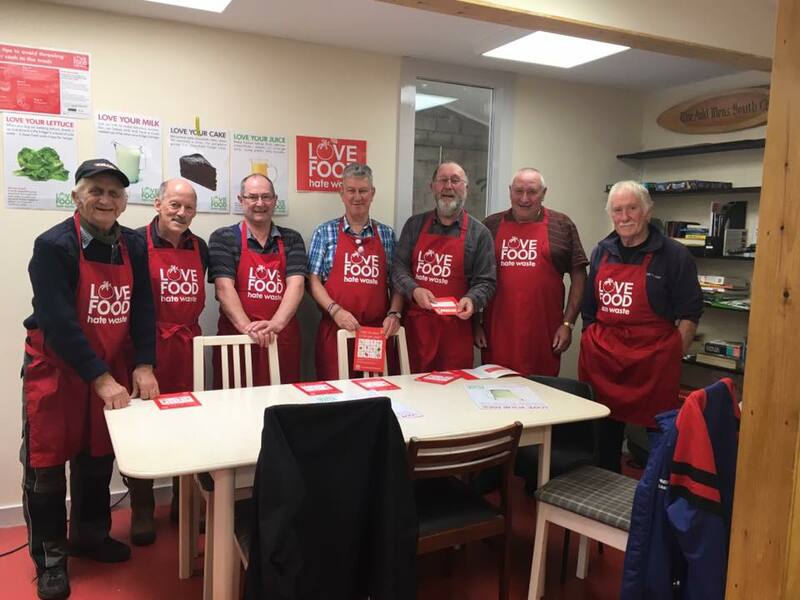 Working with Action for Children Lochaber we have delivered five blocks of free cooking classes which have covered a mixture of theory & practical to help quip householders cut their food waste & their shopping bills! 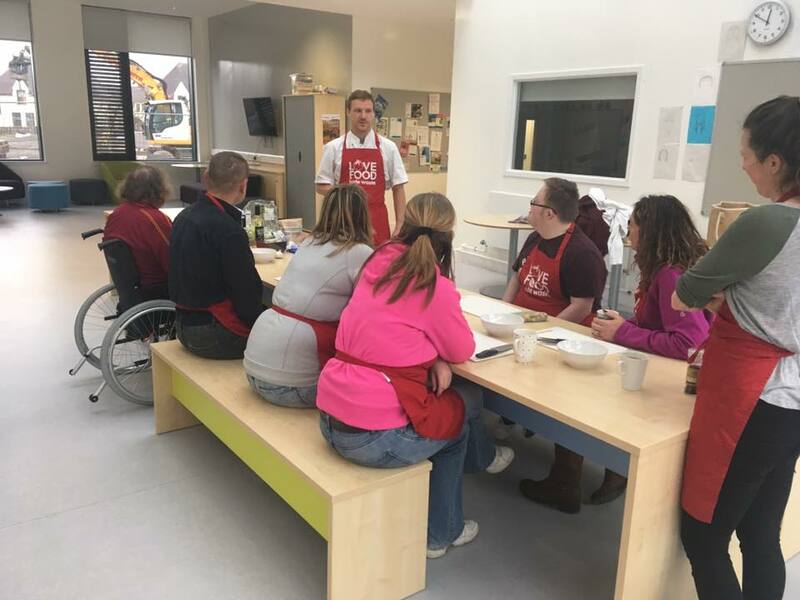 We have also co- hosted a number of one off events at the Rural Education Trust in partnership with Sustainable Spean & Kate Campbell from the Ariundle Centre that focused on reducing food waste. One of these events was a free chutney making lesson to show the locals how to use their homegrown seasonal produce & their mushy fruit & veg from the supermarket to create delicious chutneys which could be used as Christmas Gifts. We have been sharing advice and information on planning, portioning, using your freezer, knowing your date labels, using up leftovers and community events across the area and in schools. For more tips and advice on how you can save yourself money & protect the planet check out the Love Food Hate Waste website. 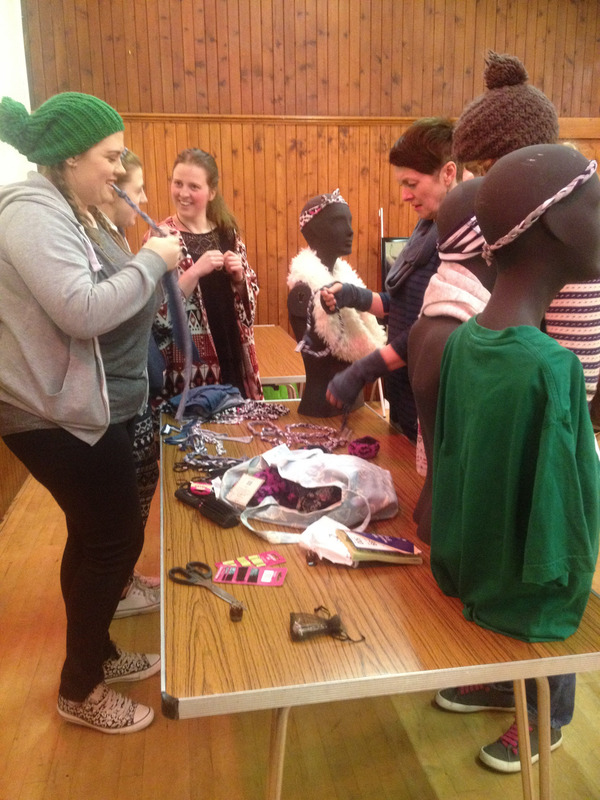 As part of the Zero Waste VCAP LEG have been promoting reuse & repair in Lochaber. The more we can reuse and repair items the less new products that need to be produced saving earth’s valuable resources and our bank balances! We have organised several swapping events – including clothes & book swaps and ‘Back to Basics’ sewing repair classes. These event have all been well attended, extending product lifespans and developing new skills and giving members of the local community to have the confidence to make their own clothing repairs. 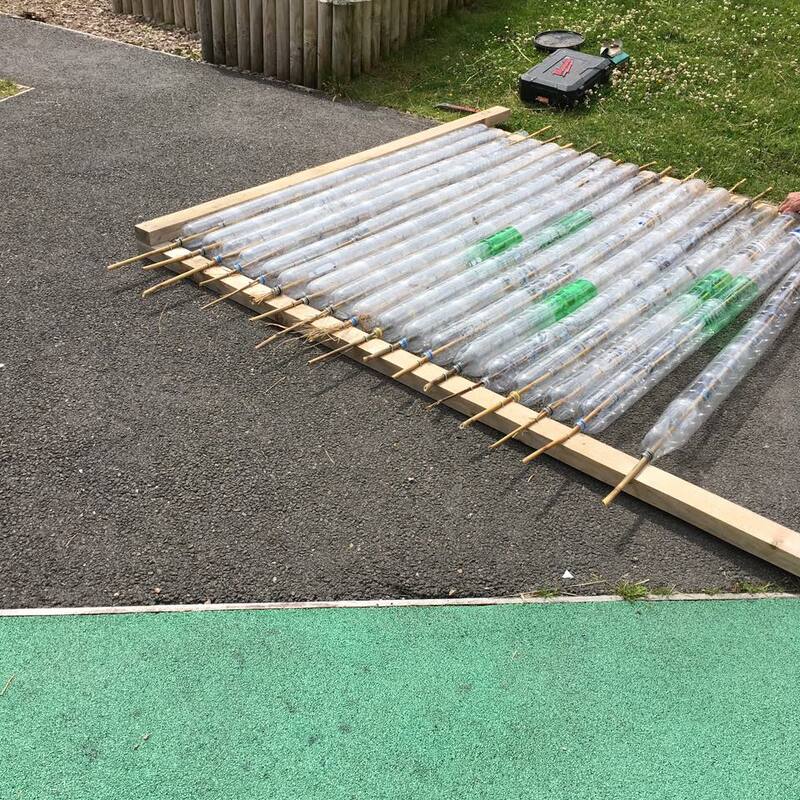 Our work in local schools has also focused on reuse with an ongoing project to build a plastic bottle greenhouse with Acharacle Primary School. We have also been working closely with the Fort William Men’s Shed who have produce garden waste composting bins for us for LEG members made from reclaimed wood kindly donated by BSW Sawmill. This reuse project has come from a trade which saw us educate the ‘shedders’ on recycling in Lochaber, putting in place their recycling system for them and hosting a waste free lunch. In the future we plan to host a series of repair workshops including IT, sewing and bike maintenance. For details on existing reuse & repair resources in Lochaber click the link here. Recycling reduces the need for extracting, mining, deforesting, quarrying and logging for new virgin materials to make products. It also reduces the amount of materials ending up in landfill producing noxious gases as they very, very, very slowly rot away. Therefore in our current work we are advocating the use of recycling as a sustainable way to dispose of your waste working towards the Scottish target laid out in the Zero Waste Plan for Scotland to have 70% of Scotland’s waste recycled.In partnership with the Highland Council Waste Awareness assistant, LEG have been providing information on recycling to local householders at pop up events across Lochaber, helping users of the local recycling center segregate their waste and providing local business advice on operating a successful recycling initiative in the workplace. We have also spoken to various local community groups such as Kilmallie Community Council and Spean Bridge Women’s Institute at presentations we have delivered about recycling in Lochaber, helping to clarify what can and cannot be recycled in the area. 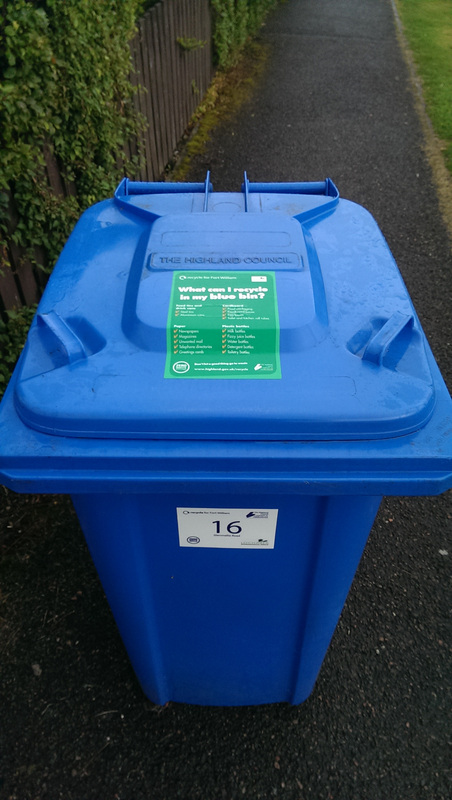 For more information on recycling in Lochaber click here. We also tackle litter in the area as we believe #TrashisforTossers. If you would like us to help with a litter pick in the community let us know or if there is an area that you feel is particularly dirty and in need of a clean up! We have had two major litter picks in the past 12 months one focussed in the Claggan area involving the staff based at An Drochaid Lochaber and the other with the local UHI Dive Club which cleaned up the shoreline in Inverlochy along the Great Glen Way path. Here is a short video from one of our clean ups with the local UHI Dive Club.